Summer is a popular time for outdoor weddings, don’t stress about what to wear, we have our 10 top picks of guest dresses for you to lust over and get in time for the big day! This classic and stylish lace dress is very flattering with the cropped sleeves and top and a mid-length skirt. The lace and baby pink colour makes it a pretty and feminine pick, perfect for a classic or chic themed wedding! The bold floral pattern and figure hugging silhouette is sure to turn heads, team it with bright coloured killer heels to finish the look off. The high-front low-back dress is bang on trend this summer, and the large print and bold colours make it a perfect choice for daytime wedding! Make sure to team it with some strappy heels or courts and a slim clutch. “Crafted from pure silk, our Fleur dress has layers of ruffles that drape softly around the body. This feminine piece is fully lined for a smooth and flattering fit” It couldn’t sound any better! 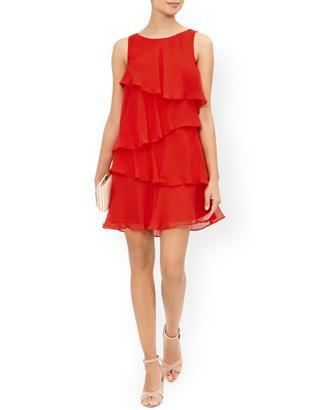 We love this bright red number, and it would look fab whilst boogying the night away. This cute twist on an LBD with embroidered floral details will look great at any summer wedding, and for £30 your grabbing a bargain! This would look great with stilettos but some smart dollies wouldn’t look amiss if heels aren’t your thing. The clinched waist and flared skirt create a gorgeous silhouette and the plain pastel mint colour creates an effortless look. Dress it up with statement accessories and heels for the big day, and dress it down for the office when the weddings over (win-win!). Not a fan of bright and bold florals and frills? Then this might just be your perfect match. Gorgeous fitted silhouette with a flared midi skirt and floral mesh pattern. You could brighten it up with accessories or stick to a sleek monochrome theme! This is perfect for a vintage themed wedding or a wedding by the sea! It is extremely feminine with capped sleeves and below the knee length. Team with delicate jewellery and stress-free hair to finish off the timeless look. 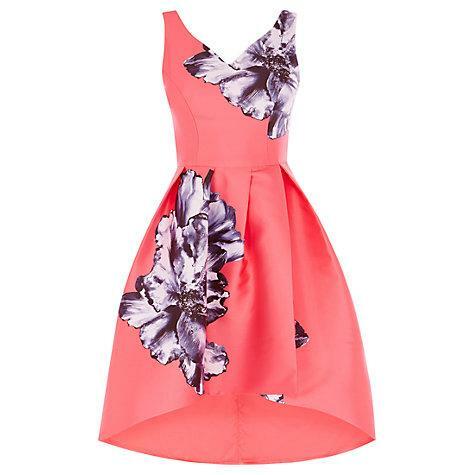 There you have our round-up of summer wedding guest dresses to keep you going this season, we hope you liked them too! Tweet us your favourite guest dresses over at @Wedding_Fayre.